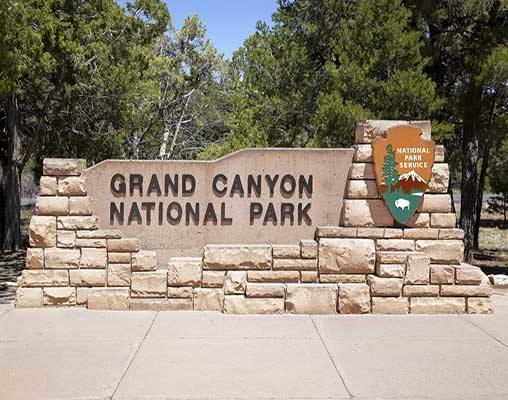 Experience the opulence of a bygone era at Grand Canyon Railway Hotel. 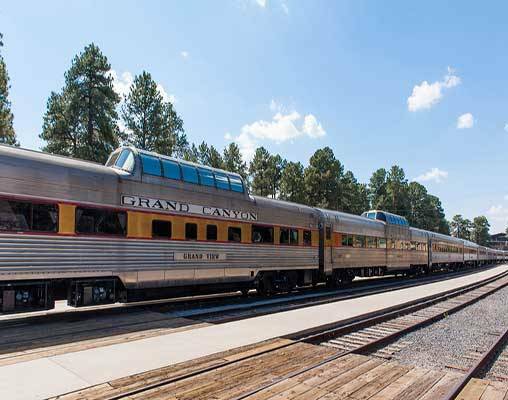 Ride the Grand Canyon Railway with Luxury Dome Service which combines the breathtaking views of the Observation Dome with the elegance of the Parlor Car. 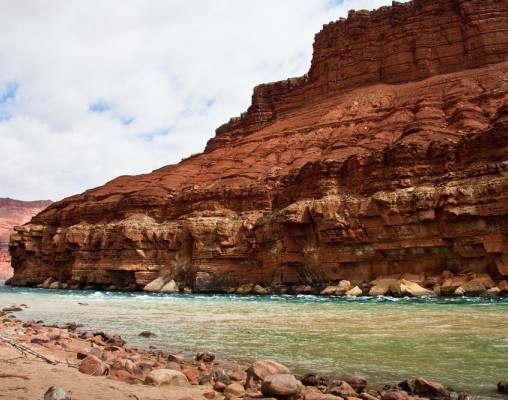 Travel 2340 miles aboard Amtrak's Southwest Chief. 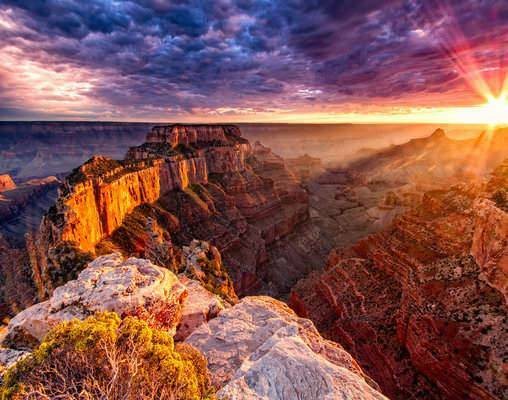 The Grandest of Grand Canyon Tours tour members will meet the Tour Director in Chicago’s Union Station. The Willis Tower, one of the tallest buildings in the United States, is close by. 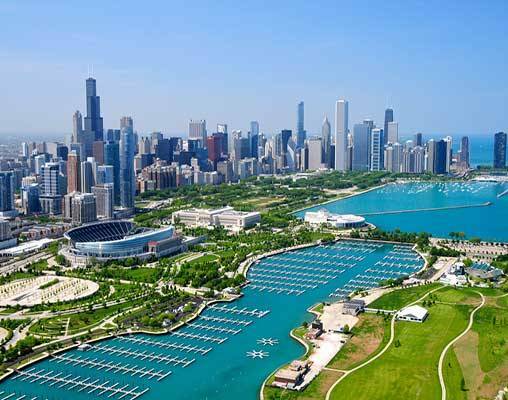 Other Chicago attractions are a brief cab ride away. Early afternoon we’ll board the Southwest Chief for the 2:50 p.m. departure. Relax in your reclining coach seat with leg rest. Roomettes or Bedrooms are available at an additional cost and include dining car meals. You will want to spend time in the Sightseer Lounge where the glass windows rise from floor level to the ceiling. It is a great place to view the passing scenery. This evening you can enjoy an optional full-course dinner in the dining car; lighter fare is available in the lounge car. During the night we traveled across the state of Kansas. We will be near the Colorado border when you awaken. Today you will experience the excitement of the Santa Fe Trail as we cross New Mexico and Arizona. You will have time for a trainside walk when we arrive in Albuquerque at mid-afternoon. Our arrival into Flagstaff is scheduled for 9:32 p.m. We’ll transfer the short distance to the Comfort Inn. This morning we’ll board the eastbound Southwest Chief for its departure to Chicago. You’ll enjoy the same accommodations and amenities featured on your westbound trip. 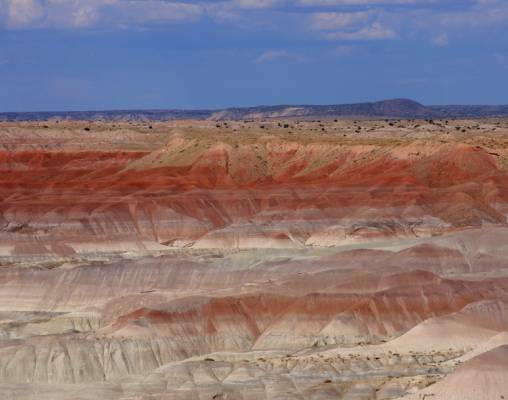 You’ll want to take advantage of the fascinating scenery of Arizona and New Mexico our train passes through. The Southwest Chief is scheduled to arrive in Chicago mid afternoon. 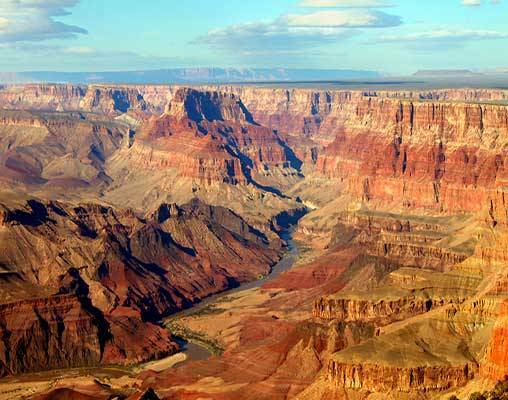 Enter your details below if you would like to be notified when 2020 dates and prices are available for The Grandest of Grand Canyon Tours.